Since I began observing Lent, I have always been a Church of Christ minister. 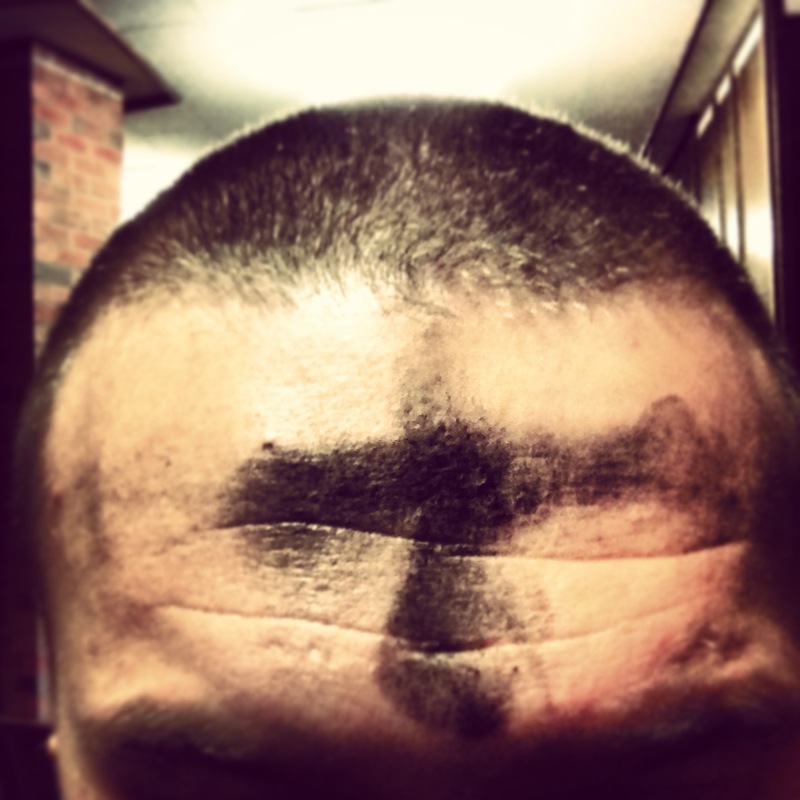 This means every Ash Wednesday I was doing my own thing with my group. So this year, I got to participate in my very first Ash Wednesday service and to have the ashes imposed on my forehead. It was very humbling. Remember, from dust you came and to dust you will return. Repent and believe the Gospel. Now since I am a former minister and Christian blogger, this next statement may come as a shock: I can be a little selfish. Ok, I can be a lot selfish. And this is one of the reasons Lent is such an important practice in my life. Because I forget that I am dust. I forget that this life is the only one I get. This moment, right now, is all I am guaranteed. So what I do with it matters. When I lose sight of this, I can start to believe some really wacky stuff. I start to believe I am the center of the universe. I start to believe my comfort and pleasure are the greatest pursuits. I get focused on the things that don’t really matter and miss the abundant life offered to me each moment. This is why busyness is such a drain to the spiritual life. When I am constantly on the go, I often do not have the energy to think about anyone but myself. So the harder I am going, the more I become the center of my own universe. Lent is a call to slow down. It is a call to train myself in a way to remove myself from the throne of my universe. Ash Wednesday is a call to repent. For a lot of us, this is a scary word, but what it means is to “turn” or “return.” I think “return” is the best way to think about it. We are returning to who we truly are. The Gospel is about restoring wholeness to ourselves, our neighbors and the world around us. To repent is to return to living out those relationships in the way they were meant to be lived. This is not my default mode. My default mode is selfish. So Lent is the time to reframe, refocus, realign, renew, return and repent. And we do things by giving up those comforts which distract us. Sometimes we give up things, like food, which might even be necessities. Or we do things we normally do not do. We intentionally engage in things that make us uncomfortable. We do the hard work of learning what life is really about. So as you engage in Lent this year, remember these words. Lent is not giving something up just to say you did it. It is not giving something up to show how sorry you are. Lent is about training yourself to put God at the center of your entire being and to experience the rich, abundant life God offers right here and right now. This entry was posted in Lent and tagged Asceticism, Ash Wednesday, Joan Chittister, Lent, Repentance, Selfishness. Bookmark the permalink.